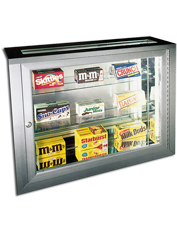 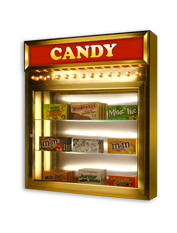 Candy Showcases are showcases to display and highlight a variety of candy. 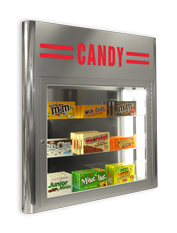 Some candy showcases have integral backlit header panels, and all of them have interior perimeter lighting. 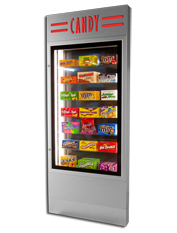 These are the same cases that are used in real movie theaters.